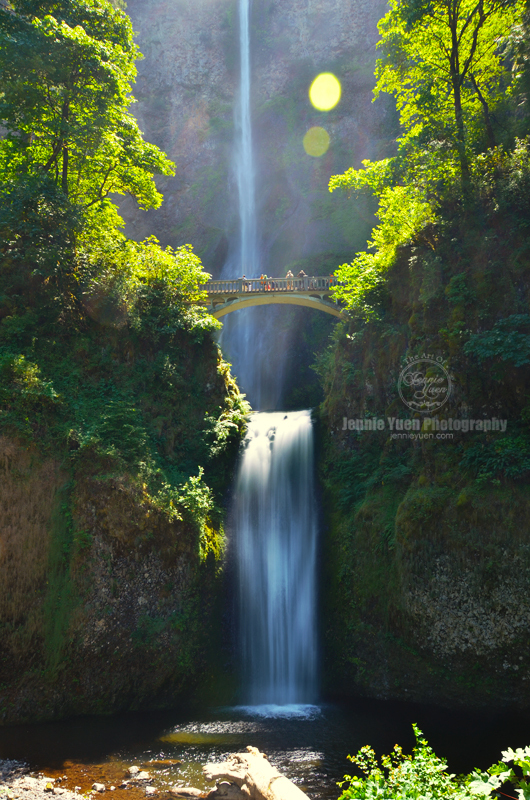 If you are traveling near Portland in Oregon, Multnomah Falls is a must see. It is just 30 minutes outside of the city. Though I travel to Portland many times, this is actually the first time I've visited the Falls. To view both tiers of the waterfall, you can walk to the viewing area located in a carved-out opening in the rock face. To get to the bridge (called Benson Bridge) for a closer view, walk several hundred feet up the paved trail. It is quite a view!